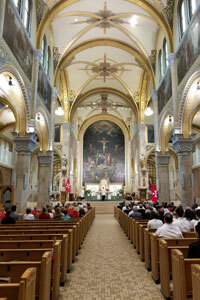 Welcome to the website for the Green Bay Area of the Order of Malta. The Order of Malta is a lay, religious order of the Roman Catholic Church, which seeks to glorify God by promoting the sanctification of each member through his or her work with the sick and the poor and witness of the Catholic faith. 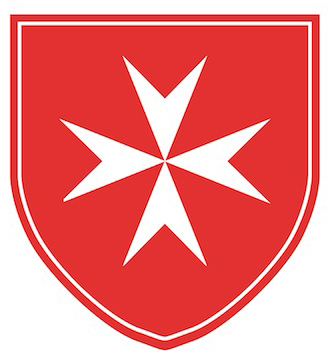 Green Bay, Wisconsin is one of over 30 Areas of the Order of Malta, American Association USA, created in 1927. We encourage you to look through the Green Bay Area’s section of the website, where you will find information regarding leadership in our Area and our members’ Spirituality in Action efforts, which include the Salvatorian Mission Warehouse and the annual pilgrimage to the National Shrine of Our Lady of Good Help. If you are interested in learning more about membership, or volunteer opportunities in Green Bay, please submit your information using the form located on our Contact Us tab. A representative from our Area will respond to your request as soon as possible. We also encourage visitors to this site to learn more about the Order’s history, mission, volunteer work and spiritual life. We appreciate your interest in the Green Bay Area and we look forward to being of service to you.